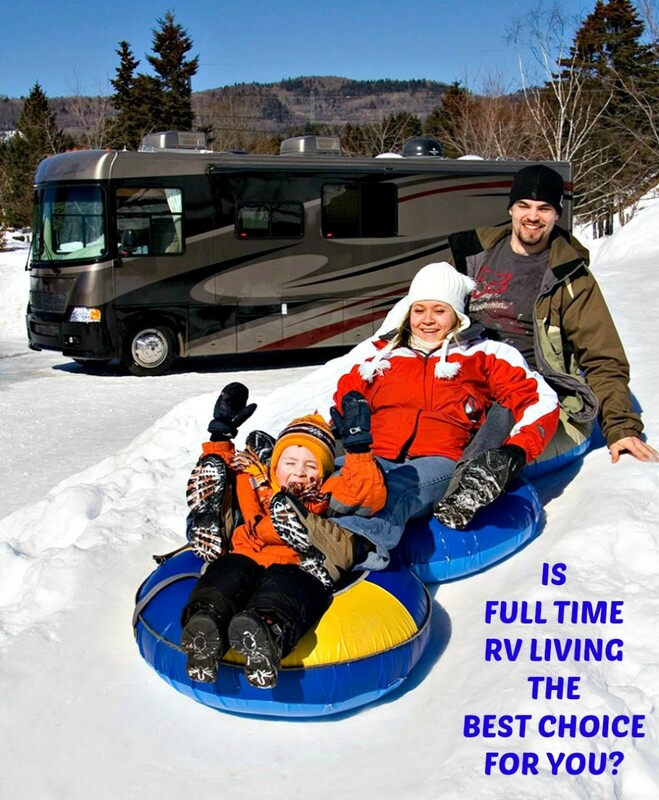 Is Full-Time RV Living the Best Choice for You? I am an RV enthusiast with more than 50 years of experience owning, driving, traveling and living in recreational vehicles. Living year round in a motor home, travel trailer or camper may not appeal to some people, but others like the idea. emotional and physical ability to adapt to a totally different way of living. These all are good reasons for choosing this lifestyle, but people also think they want to live this way as the result of assumptions rather than facts. Individuals must be careful about making assumptions because they may or may not be true. 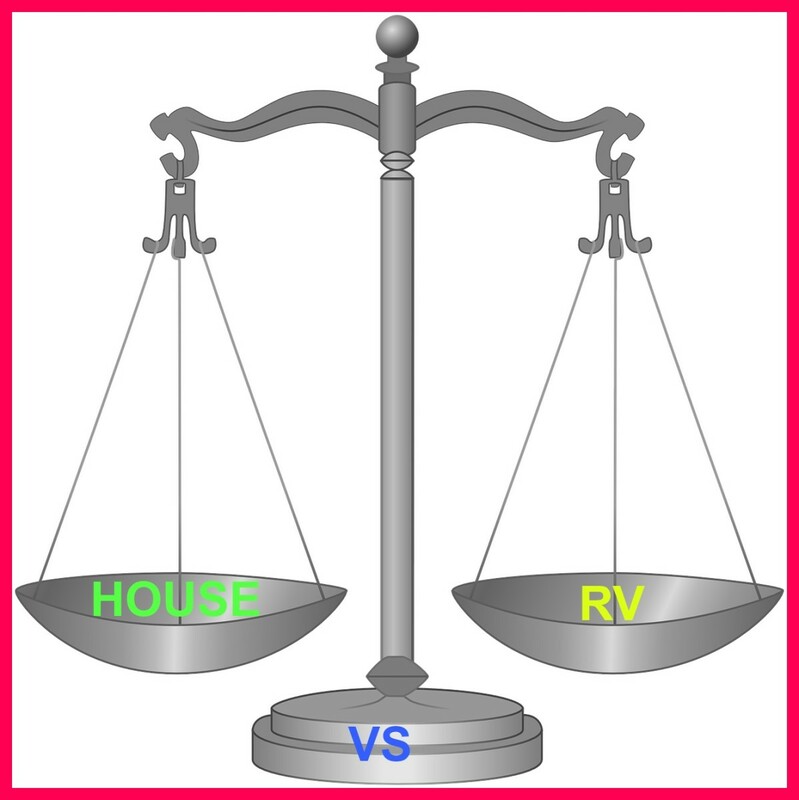 Some people automatically assume that RV living is less expensive than owning a home or renting an apartment, but depending on the choices people make, this lifestyle can cost significantly more. Many believe they will be able to adapt to living in small spaces, but doing this can more difficult than people realize. Others think that RV life will not be labor intensive, but the truth is that recreational vehicles need constant care. These all are examples of why it’s important to understand the cons as well as the pros of full timing before deciding if this lifestyle will work for you. Below are some points to ponder. If your main goal is to save money, you should take the time to learn the best methods for buying, maintaining and traveling in a coach. One of the best ways of doing this is to read books such as my favorite, Finding, Buying and Using the Perfect RV and using it as a reference. I've owned a copy for several years and have found it to be extremely helpful. I really do think it is one of the most concise RV owners' guides on the market. It has helped my husband and I learn about the hidden costs of owning and traveling in a recreational vehicle and how to deal with them. In addition to this, you should check out some of the videos on YouTube that deal with various aspects of full timing. This will allow you to gain valuable information from real people who, for better or for worse, are "living the life". People who stay in campgrounds do not pay property taxes or homeowners insurance and only pay for electricity (water and sewer are generally included in site fees). They also do not have to purchase furniture, appliances or television sets. However, they must pay for their campsite, vehicle licenses and any financing payments. Purchase prices for new travel trailer units can be as low as $8,000. A good used motor home can be bought for $20,000 or less. 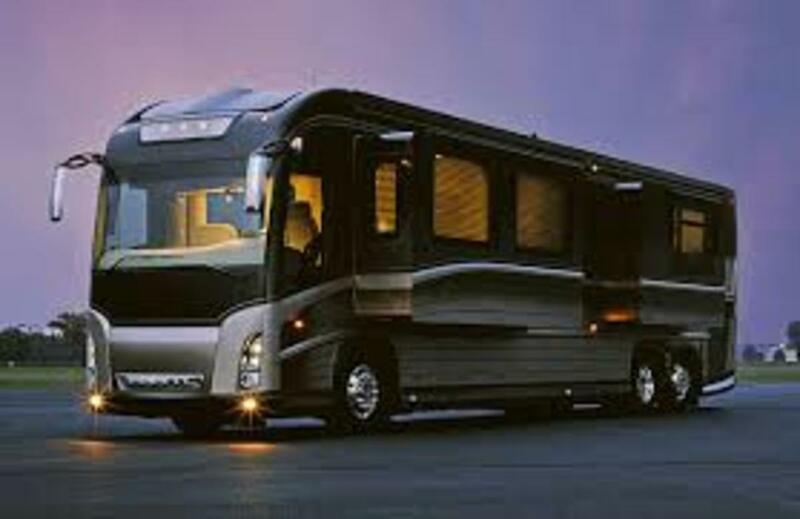 A new high end luxury motor home can run as high as three million dollars. A High end luxury Fifth Wheel travel trailer can cost upwards of $70,000. A new tow or pull vehicle will cost the same as any other car. You can purchase used ones for less than $20,000. Annual RV insurance will average $500 or more depending on the price you paid for your unit. Utilities for a medium sized coach will generally be less than $100 a month. In large luxury units, it can go into the hundreds of dollars. Living year round in a decent campground can cost as little as $225 or upwards of $700 per month depending on location and amenities. There are many variables so it's important to understand that your decisions often determine how much you will pay. 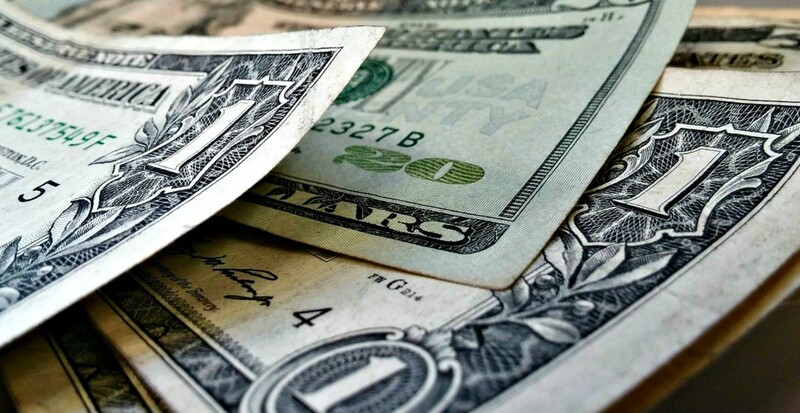 The bottom line is that some people do save money living in campers, travel trailers and motor homes, but others do not. Just about anybody can afford to full time, so the issue of whether living this way is workable depends on more than costs. 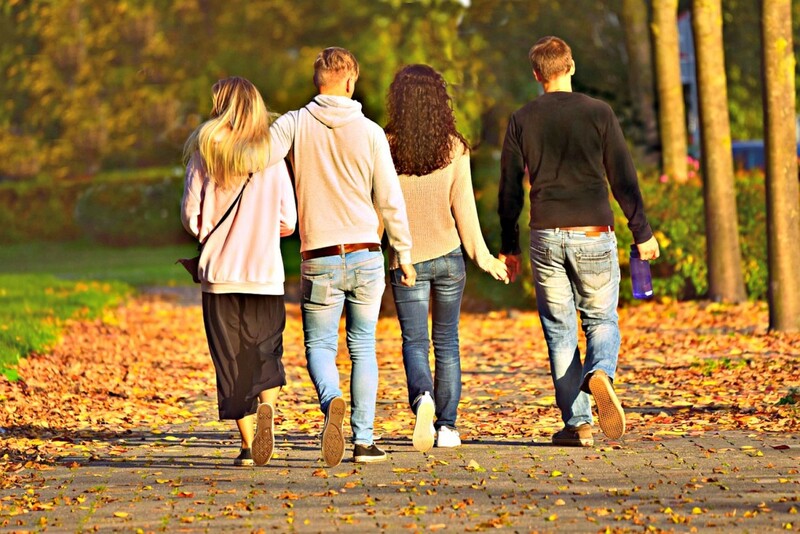 Some people simply cannot tolerate living without a standard home address, and others don’t do well when separated from their peer groups for periods of time. Conversely, many really enjoy the many amenities offered by campgrounds and love having expanded opportunities for meeting and socializing with new people. Each person has different desires and needs, so these should be taken into consideration when making plans for year round RV living. Accidents can and do happen. I was parked in a campground when another owner hit the rear corner of my coach and drove off. He left a huge hole in the side of my fifth wheel that cost hundreds of dollars to repair. RV Accident Stories That Will Blow Your Mind gives further insights to these types of problems. One owner who purchased a new and very expensive coach that had frameless windows reported that half of them fell right out of their slots. It cost him thousands of dollars to replace them with standard, framed windows. Another owner purchased a used unit. Right after his first trip the fiberglass exterior fell off of the side of his unit. He couldn't find any dealer or manufacturer who would replace it, and the cost of doing so was huge. Another buyer discovered that the air bags on his new unit were the wrong size. As a result, his coach rolled over. It cost him $5,000 to get the correct ones installed because the manufacturer had gone out of business. I've known a few people who bought coaches whose floors fell in because the joists were not strong enough to hold them. Bill? $6,000. As you can see, there are many things that can and do go wrong for people who own RVs, which is why individuals need to take great care when making their purchases to make sure their units are well constructed, have good warranties and are well insured. You must be in good health to live or travel in an RV. RVs deteriorate and lose value over time. Most RV living areas are usually less than 400 square feet. Campground fees can be quite high. Finding long term campsites can be difficult. It can be difficult to control internal RV temperatures in extreme weather. Owners must limit the number of possessions they keep on board. There is only minimal space between units in an RV Park. WIFI access can be limited. There generally is only one bathroom and one bedroom. Showers must be brief due to limitations in hot water supplies. Owners must empty and sanitize sewer water tanks regularly. RVs require constant repairs, many of which are expensive. Owners are only one accident away from being homeless. Slide rooms are problematic and often need costly repairs. You are safer in a travel unit than in a house because you are surrounded by others who live close by. Furthermore, campgrounds usually have good security. In the event of a crisis, such as a hurricane you can simply hook up and drive away from the danger. Many campgrounds offer spacious lots and have nice amenities. Today's coaches have slide rooms which make them more homelike and comfortable, but can also cause problems that require costly repairs. Most recreational vehicles are more beautiful than the average home. Motor homes and campers often come with luxury amenities such as washer/dryer combinations, big screen TVs, satellite dishes, side by side refrigerators and even king sized beds. Most residential parks offer organized activities. If a neighbor is bothersome, you can simply hook up and move to another site. If you have a problem with your campground, you can simply hook up and leave. Other than washing and waxing your unit and taking care of general maintenance and cleaning, there is very little physical labor. If you want to work, you can easily move to take advantage of job opportunities. Units can be used for living as well as travel. Those who travel in their coaches do not have to worry about leaving unoccupied property behind because everything goes with them! You have total flexibility because your lifestyle allows you to live where you like and go wherever you please. Although living quarters are small, they are also much easier and less costly to care for. 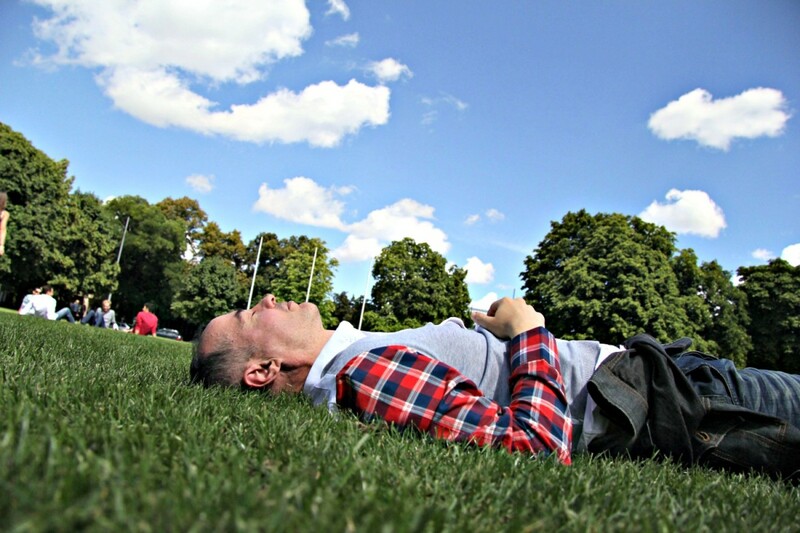 You have more free time to enjoy daily living, events and socializing. In the event you need hospitalization, many medical facilities now offer on site hookups for patients whose family’s own RVs. This is not only convenient, but it can also save a fortune in hotel and restaurant bills. 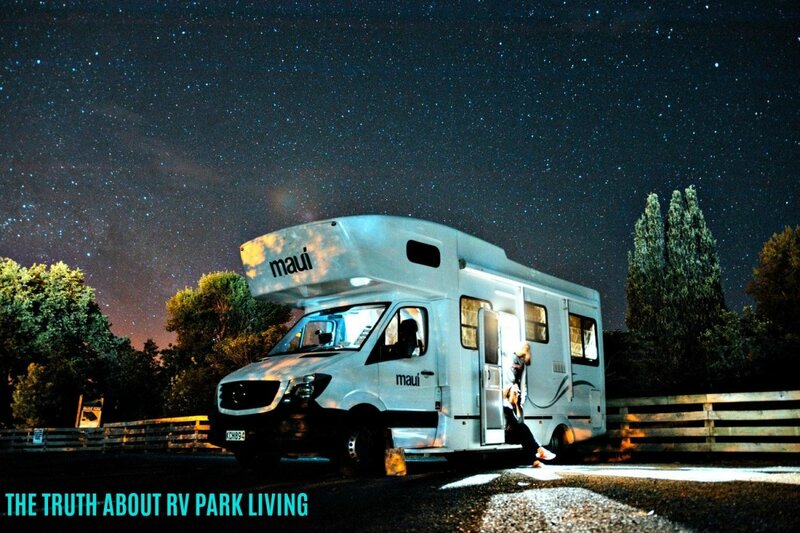 Is RV Living for You? The bottom line here is that while full timing may not be for everybody, it may work for you. What will make this happen will be the fact that you have been realistic about making your plans and understand the pros and cons of this lifestyle. It is not perfect, by any means, but if you want a more flexible way to live and are willing to make some sacrifices to have it, you should give full timing a try. Millions of people are living the life and loving it because it removes many of the problems people with homes must deal with and opens up all sorts of opportunities for travel and adventure. I’ve been there. I’ve done it. I can honestly tell you that the years that my husband and I lived full time in our RV were the best we ever had. Hopefully, you’ll be able to say the same. With an RV you can camp in style in places like this. If you could live and travel full time in an RV, would you? Can you use a cover over your RV while living in it? You can, but this is not a good idea because if you seal your coach like this living in it would be miserable AND if there are any leaks a cover would increase the chances of mold and mildew forming which both are dangerous to your health. Also, you would not be able to run your engine or generator and getting in and out would be very difficult. Have no idea why anybody would want to do this. Covers exist to protect coaches from weather, but even when used for that purpose, can increase mildew and mold issues. So while you "can", you should not! How do you handle receiving your mail from an RV? I wrote an entire article about this that you can find by clicking on: https://hubpages.com/@timetraveler2, and scrolling until you find it. There are several ways to receive your mail depending on your circumstances. In our case, we always used a mail forwarding service, but if you have someone you can trust, they can receive and then send it to you as needed. What insurance policy and company should I use as a full-time RVer with permission to live on private property? If your RV is not secured to the land, you will need auto insurance. If it is, you will need homeowner's insurance and possibly auto insurance also. I am assuming you own the land. If you don't, then it is unlikely you would be securing the RV to the property. The best company I know of for RV insurance is the Hartford, but do some research as there likely are others who insure RVs. Is there a list of full time RV parking spots nation wide? No. However, if you buy a Good Sam Camping Guide, you can call individual campgrounds to see if they allow year-round parking. How does someone who is on a controlled substance medication for a health condition handle getting their meds while traveling with the current laws? That's a tricky question. if you have a good relationship with your doctor, you might be able to get him to prescribe a 3 month supply on an emergency basis that will take care of your needs until you can get home. Barring that, you may have to find doctors along the way who will see you and prescribe new one month meds for you. The new laws have made controlled substances a problem for people in your situation, however, I have heard from several sources that people are starting to use medical marijuana because it actually relieves pain better than the prescription meds. They are now legal in many states, so do a bit of research and see if you can come up with places that sell this stuff in various states so that you can find some relief. Good Luck. 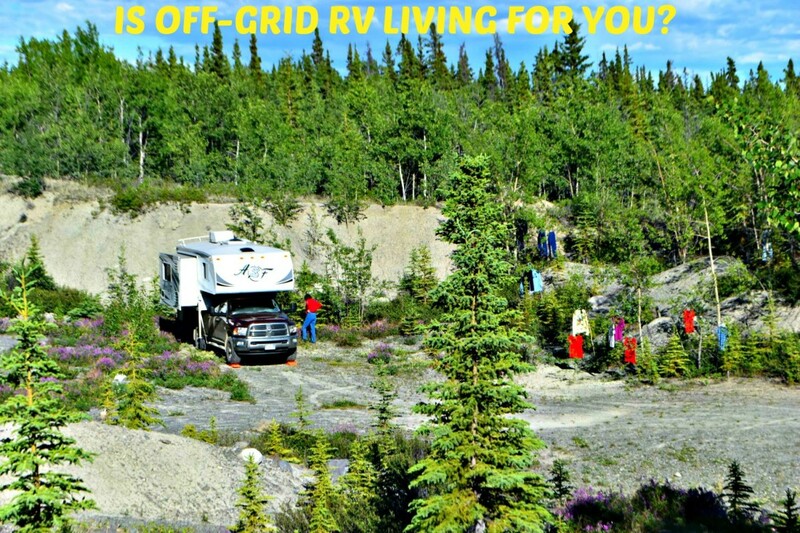 Is Off-Grid RV Living the Best Choice for You? 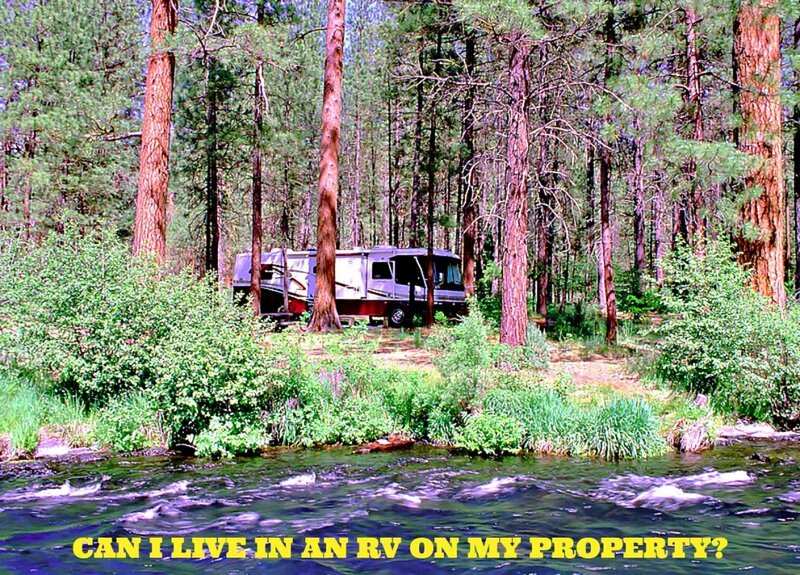 Can I Live in an RV on My Property? climbr: No articles on that topic but now may do some research and create one. I do have one, however, on mail forwarding services that you may find of interest. Sounds like the mail service you will be using is a good one because they give you a real address. Most don't...they simply provide a PO box, which some states will not accept as being a legal address. Always ask about that. On that note do you have any articles on the best states to use as your legal residence for full time RVing or suggestions? climbr: You might want to place a free ad on Craigslist to let people know that you're looking to buy and what you want. Be aware that it is not the state where you register your RV that matters. It's the state where you legally reside! Good luck! Thx TT! I will keep you posted. Let me know if you see any Trailers (lite ones) in the 20-24 range....I can travel anytime. PS feel free to give any interested sellers any info on my query. climbr: You are wise to be careful about the weights. There is a very good article on my profile page about matching camper to truck weights, and in it is an excellent video that you really need to look at. If you're going slide in truck camper, weights are extremely important. Also, be careful about avoiding that sales tax because states have really tightened up on that because they want the tax money. If you buy out of state and want to avoid your state's sales tax, you must register your vehicle in the no tax state AND to do that you must have a real address there. It gets very complicated. You are much better off to just pay the taxes and be done with it. I would advise you to seek out a lite coach...one made with aluminum rather than wood or steel basic structure if you are uncomfortable with weights. Remember, too, that weight includes dry weight, wet weight AND all of the add-ons plus the weight and belongings of travelers. Do not rush. Take your time. A mistake right now could really cost you later. Keep me updated! climbr: People live full time in camper vans...so you can, too. Personally, I'd prefer to have a bit more living space...say, 24 feet, which would be plenty. Don't ignore the used RV market...you can get that type of space for the same money you're discussing and have an RV that is every bit as good as a new one if it's been well maintained. Let me know what you decide. You really need to read some of my other articles (they're on my profile page) as there's a lot of info there that may help you to make a good decision. Are you wanting to do this on a permanent basis or just for a few years. A very small space can become claustrophobic over time, so make sure you give yourself some breathing space. Time Traveler how feasible is it for me to consider living FT in a mini....like a Lite....16' Scamp or Camp Lite.....or the new Lil Snoozys.......they seem to have everything I need and can be purchased for well under 20K.....i plan on for the most part staying in warm weather (so the outdoors become part of my space), its just me,......? TiffanyChun: This is a tough question to answer because you have to take the cost of buying and maintaining an RV into account as well as the cost of camping fees. People do live in RVs with kids, but space is very limited...usually less than 400 square feet. Traveling is also tricky unless you go by car or truck and tow a travel trailer behind you. I have several articles you can find on my profile that discuss these issues, and I advise you to read them an then get back to me with questions or leave them in the comments section. Since I don't know your financial situation, it's hard to say how this might work out for you. The articles will help you to get a better picture of what you're up against. Let me know your thoughts. I really enjoyed reading this and I've been considering doing this a lot lately. I do have a question about RV living with children. I have 2 young toddlers. We live in a 1bd apt with a den and with rent being at $1500/mo and sadly going upwards to $2300/mo out in Seattle, I want to save money by cutting costs, travel with my kids and pay off debt. Is it possible to live in an RV with young kids? We already co-sleep (we intended to use the den as the kids' sleeping quarters, but they end up in the bed with me) and I work from home so I just need the internet in order to work, which I have a pay as you go hotspot that I can use or go to a library for free WiFi. I am just curious if this idea is actually doable? I know UPS has a way for you to set up an address (PMB) opposed to a PO Box, which I can use, but any advice would be greatly appreciated. I am considering either a studio or RV. It just seems like an RV would end up costing the same as (or even less than) a studio after renting for 1 year. I just don't want anyone to think I'm being neglectful to my kids for making this decision. Au fait: You are really getting into these articles lately, and I am having fun watching you do it! Nobody is going to donate an RV to you, that's for sure, but if you read some of my articles about buying RVs you will learn what to look for and also that you can buy a good RV for less than you'd spend on a car. The one I own right now is beautiful and only cost us $19,500 including all taxes and closing costs. We've had it for 4 years, and have really enjoyed it. When people do a good job of maintaining their coaches, they hold up well. It takes a lot of looking, but they're out there. Lucky you for living in TX because there are many free campgrounds with hookups in that state! Have fun! Sounds good to me! I'm sold on no more rent or heating bills. If someone will just donate to me a good RV in excellent condition (no need to be new), I'm ready to try a new way of living. Voting this up and UI! pstraubie48: It's unfortunate that RVing has become so expensive, but there are still ways around it. Have you thought of living full time in one? It's like living in a suitcase you never have to pack when you want to travel! Great Fun. Thanks so much for the sharing, etc. You're a good woman! Absolutely know that if I had the money to purchase an RV that would suit me and had the funds to keep it up...I would rid myself of all of my excess baggage and leave a permanent location in the rearview mirror. Great hub and many helpful observations. fpherj48: You are just one of millions of people who have the same dream. I am one of millions who has lived it. If you check my profile page, you will find more than 95 articles about this topic, and one, in particular, talks about the benefits single people can have if they RV and what groups there are they can join to help them do this. By the way, this is one of the first articles I ever wrote when I came to HP 3 years ago! I'm amazed you just found it! If you have any questions, please feel free to email me privately. I started RVing in my early 20's and am still at it today at almost 72!...Always happy to share the tricks I've learned along the way. Thanks for this comment, the upvote, etc...but mostly letting me know that my articles do, in fact, impact people's lives. Alaska Penny: I did not say that cold weather living is not possible, I said it presents numerous problems, and as a result I would advise against it. Some RVs are constructed for all weather use, and perhaps those folks have found some of them. I think knocking on some doors might be a good idea, but you may be surprised at the answers you get when you do! Those folks may be doing this simply because they cannot afford standard housing, and it is likely they are not terribly comfortable. Good luck. Alaska Penny: I think 10 degrees is pushing it. I have been in an RV at 30 and was comfortable, but you have to be mindful of freezing pipes and tanks. Motor homes are more well built than travel trailers and could probably handle really cold weather, but basically I think this is a bad idea. Has anyone had experience living year round in a trailer in a cold climate? I am thinking of getting a travel trailer to LIVE in behind my son's home. Is there any trailer with enough insulation to do this? I have been in Alaska a long time and have lived in a travel trailer, but not here! So I am aware of the space, or lack of it. But can I keep warm at, say 10 degrees? Is there a brand of trailer that is up to it? SilverSage Thank you so much. I always appreciate kudos, especially when readers are willing to share. I hope you take a look at my other RV articles, too...I've got around 60 of them on HP right now! Excellent information! In fact, I like it so much that I have just placed a hyperlink to it on my blog, Retirement411, so that my viewers can come see it. Thank you very much. Larry and Kim: Such exciting news! I full timed for a good number of years and can tell you that if you do it right, the time you spend doing it will be the most memorable of your life! You may want to read some of my other RVing articles here on HP as they are loaded with good tips that will save you tons of money and lots of grief. Can't wait to hear how it goes for you. Best of luck and thanks for commenting. We are in the process of preparing to go full time in a couple of years. We are currently going through 40 years of " STUFF " .......selling, donating and dividing up what kids want.....it's daunting! Then need to sell house which for me is a little scary but as I get older I am realizing more that nothing risked is nothing gained. My hubby and I LOVED our camping get aways through the years and as soon as we would return home we were talking about the next trip. We decided that full timing for us was a risk worth taking. I think the only regret we would have is not doing it, but everything in life we do there is usually a risk involved in some way, we just don't pay attention to it because we are still within our comfort zone. We are so looking forward to it! Thanks for letting me ramble. Good luck to all that decide that living the rv dream is for them! thefithealthymom Well, how exciting is that! Let me assure you, you are going to love your new lifestyle. It will be a little more challenging with children but it will also be much easier without the extra responsibilities of a home! I have moer than 50 articles on RVing on this site and almost that many on my blog rvlearningspot . com (not allowed to link here, sorry). They should answer most of your questions, but if you have more, feel free to email me. I will help you in any way I can. Hi there! I am new to this hub-AWESOME by the way! My Husband and I recently started our own business and are selling our home to purchase an RV. We plan on wrapping it with our web site/company name and traveling state & country-wide doing trade shows and promoting our business. This has been my Husband's dream for many years, and I am finally on board with giving it a try. We have twins who turned 5 on 9/11, and because they missed the 9/1 deadline to begin Kindergarten here in Houston, we have an entire year to take our family business on the road. Our RV will be our new home. I am both exited and nervous. I would certainly love any feedback from anyone who lives in an RV with their children. I myself am looking at this from the perspective of a much needed vacation, especially from the constant demands and responsibilities, and financial burdens that come with owning a large home. Thank you kindly! radragon2013: If you check out some of my other articles via my profile you'll get a pretty good picture of what RVs cost. The prices are all over the place, so you really have to look. Check out some of the RV for sale websites. You should be able to buy a decent class C for under $20,000, depending on year, condition, etc. Let me know how it goes. Hope things work out for you. We would love to live in an rv. We are about to become homeless on the 5th of march. Living in an rv would probably be better for my health too. I suffer from severe headaches caused by a cystic brain tumor and sever back pain from a car accident when I was a kid. What are the average costs of a used class c? tedsonly1: I'm not a tax consultant, so am not in a position to answer tax questions. However, you can call the IRS 800 number and they will be happy to help you. You can find the number on the web. Glad your loving "the life", and thanks for stopping by. Hi...my hubby and I are full time RV'ers, and we love it! But I have a question having to do with our taxes. Since we live in our RV full time it is our home. Does the IRS consider this as our home for tax purposes? Thank you, any help would be great! We are living in Bullhead City, AZ! Coldest winter in 30 freaking years! Even our friends from Canada are freezing and to top it off, the wind has not stopped for over 12 days now!!!!!! YUCKY!!! But life is good!!! LMSAO!!!! INVinoVEritas47: I've written a good number of articles about the RV lifestyle, and in all of them I pretty much stress that RVs need to be maintained and need to be driven and checked regularly to keep them in good shape. Your comment about "being in no hurry to fix the problems" sums it all up for me. 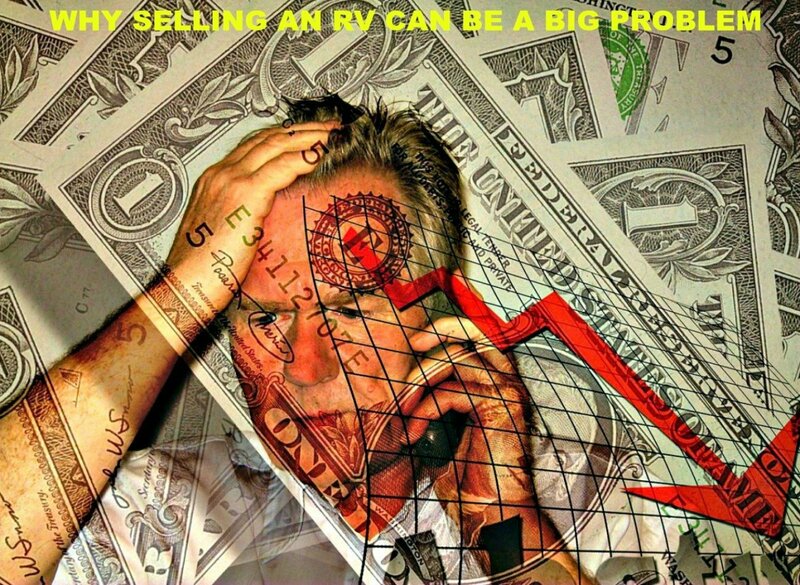 If you don't stay on top of RV repair issues, they will worsen and affect other issues. Another thing you mentioned was "cheap parts". If your RV was a lower end model, everything in it was probably cheaply made. That's why in the world of RVing, cheap is never cheap! People only think it is. It almost sounds to me like your RV sat in storage and deteriorated during those 10 years rather than being used regularly. Just like food, RV parts have a "shelf life". I can honestly say that although my RVing experiences were never maintenance free, they were never as bad as what you are describing. I attribute this to our decisions to research before buying and to immediately address problems. I do agree that living in a warm climate is the way to go when you full time it, but we live in Florida which, although warm, has plenty of humidity in the air. We solve that by leaving plates of charcoal around when the RV is not being used. This eliminates all mildew and similar problems. Sorry you had such a bad time of it, but I'm glad you shared them here as this is a good lesson for people who might want to just "jump in" without doing their research first. Thanks for reading and commenting. I might try doing this, but here's my prior experience. I've never lived in an RV full time but after owning one for a decade my experience was a maintenance nightmare. Broken plumbing, floor rot,electrical problems, tires, wheel bearings, batteries, cheap parts breaking, fridge working intermittently, etc. Thankfully I had the tools in MY GARAGE and no real hurry to fix the problems. It wouldn't be fun dealing with all of that in a cold climate and actually living in it at the same time. Also, with me, the wife and a lab retriever there were condensation issues in cold climates. There were higher maintenance costs on the truck as well. So buy a high quality RV designed for long term living, and stay in the warm dry climates. The cheapest and most hassle free way to live is probably a small apartment and drive an economical car, instead of a huge truck required to tow a decent sized RV. kathyincali: You can live for much less in an RV park that has full facilities. If you buy the right pickup truck, you can learn to hook up and tow the RV yourself...I've done that, and it is not difficult. You don't have to go begging people to let you stay in their yards...and furthermore, most zoning rules won't allow it. The great thing is that you can live in RV parks anywhere you like in the country...so have fun and continue to enjoy your little house on wheels. tgreear: Congratulations! I am so happy for you. You have the right attitude and I know you'll have a great time out there. Let me know how it goes, and thanks for reading and commenting. Hubby and I are hitting the road full-time within the year. We are currently sell, giving away and trashing all the "things" we have and trying to sell our house. SO EXCITED!!! As for onegoodwoman there is a dark side to everything but forewarned is forearmed so I appreciate these articles. We know all about the tanks that must be emptied but even in our house the commode has backed up more than once! We take the good with the bad and see the joy in our days. rebeccamealey: well, I tried. There's a lot to it, which is why I have written so many articles about RVing. Check out my profile for the list and thanks for stopping by. It would be fun to travel around to different places in an RV. But it would be scary giving up home. You do make a good argument though. You have covered every aspect RV living. Johnkadu123: I think there are a lot of people who don't realize that there are alternative ways to live. You are not alone, that's for sure. Thanks for stopping by and reading. This is a great hub. I must admit that I have never considered RV Living despite the fact that I have quite a bit of land. Perhaps it is a case of getting too close to conventions without realizing that there are different ways of skinning a cat. monicamelendez: Yes, and that is a conservative estimate, but the best "average" I could find. Full time RVing has become very popular for many people because it is such a flexible lifestyle. Thanks for the read and the comment. 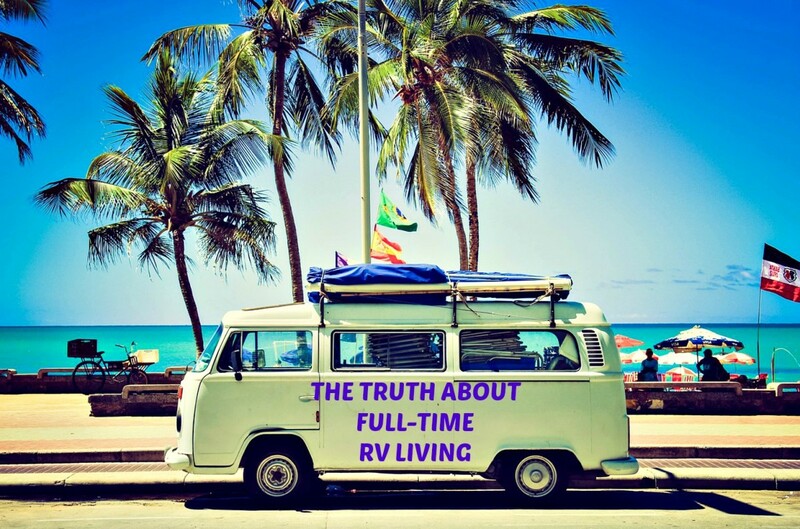 There are a million full time RVers!? Wow!! mperrottet: You may want to do as we have done and have the best of both worlds. Sell the house, buy a small condo then lock the door and go as long as you like knowing there's no lawn to mow, etc. You may even want to rent it and try full timing for awhile. That's what I love about RVing...it opens up so many options. Good luck and thanks for reading. My husband and I keep considering RVing full time. Currently we travel about half of the year, and spend the other half in our house. The big factors keeping us from going full time are health issues and having children living in our area. I have to tell you though, every time we come home from an extended trip (4-5 months away) I get a little depressed, and long to hit the road again! Eric Prado: If you're really serious about full timing you need to take a close look at my profile page as all of my RVing articles are listed there with links, and they can help you in many ways. Lots of people full time and have found it wonderfully freeing. I hope you do as well. Thanks for the follow and I'll do the same. Pcunix: Yes, unfortunately bad health does get in the way sometimes, but at least you're able to enjoy the life part of the year. My best to you both and thanks for visiting. Having done it "half way" (six months at a park, six months at home) for many years, I can tell you that I would definitely do it if not for my wife's health. Simple is better. vespawoolf: Well, what are you waiting for?? Some of my happiest times were the ones I enjoyed as a full timer. The level of freedom is unbelievable. You might want to check out some of my other RVing hubs before you decide, though. I've got them listed on my profile. Let me know if you really decide to do it! Thanks for the visit. You almost have me convinced to move into a RV! I agree that a simple lifestyle is the happiest. Great hub. Shared and voted up! inspsectorjohn: Now THAT's what I'm talkin' about! Outstanding. I can't applaud you enough for being so wise as to put a game plan together that saves you money and gives you all the freedom you like. Great job...and thanks for commenting in a way that lets people know I was serious when I wrote this hub! We live in a 40' trailer that is very spacious - even has a fireplace and giant screen TV. I am 64 and working as a landman (oil and gas). We move to a new place once a year and plan to travel up towards Wyoming, Colorado or Montana, or then again, maybe just stay here in Sulphur Springs, TX. No property taxes, if you don't like the neighbors you move and seeing all of the sights is wonderful. Karen Hellier: Yes, I was a full timer for 5 years. I've been an RVer for my entire adult life and have written a number of hubs about RVing which you can find on my profile page. I'll be writing more, so stay tuned...and thanks for reading! What a great hub. I have always wanted to do this. I recently asked a hub page question about this, and then I found your hub today. Have you actually done this for a specific amount of time? Dee aka Nonna: RVing definitely IS fun! I advised another hubber to seek out singles groups that RV together...they do exist, and the people who participate in them really enjoy themselves. Don't give up! It is something I've thought about doing for the last few years but I can't get any takers. I just think it would be fun for a few girlfriends to get together and hit the road and explore....or.... a couple of couples to do the same stopping when you want to explore...having a plan or not....I just think it would be fun. MJMIller: You might find it's not as "minimalist" as you may think. The neat thing about full timing is that you can do it as big or as little as you like. I once visited a high end campground in Las Vegas that, while expensive (sites for purchase went as high as $200,000)was unbelievably lavish. They even had personal trainers available there. Me? I stayed in the $15 a night campground and enjoyed Las Vegas just as much as they did!! So you can take your pick. Thanks for the read. Very interesting hub. I've thought about doing this myself. It would definitely be living the minimalist lifestyle, but there are a lot of advantages. I might give it a try someday. Thanks for the info. Thanks for a great Hub!! I have always thought of living in a RV, making it completely dependent on renewable energy. I think that the sun, wind and veggie oil could be used to do all things. The replenishing of supplies would be a problem, but still the idea of independence sounds great. Great Hub ! Thanks for the tip. Actually, I have been to the Topeka area, but always stayed in the casino campground North of the city. Back then I could stay for $10 because they belonged to our discount camping club, but they dropped it, so Lake Shawnee sounds like a viable alternative. TT2, the wife half of the cousins I mentioned is an avid genealogist and RVing is how they can afford to travel to all the out-of-the-way-places she goes to research long-dead ancestors. As for Kansas, if you ever have reason to be in the Topeka area, I (and the cousins) heartily recommend the RV park at Lake Shawnee, on the southeast edge of the city. Another is on the south side of Abilene. That's something I forgot to mention. 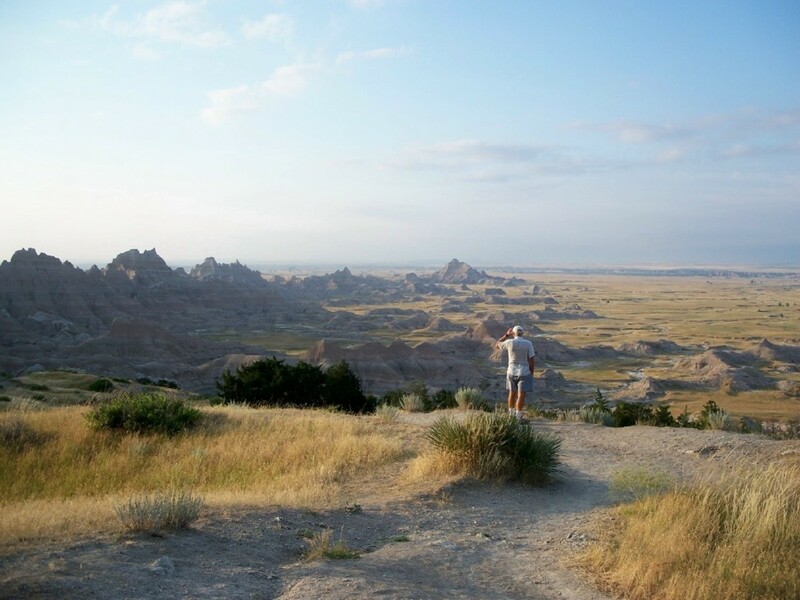 With an RV, you CAN visit places where the rich go, but for way less money. It's always fun to pretend! Thanks for the read. I think a lot of people these days would love to get away from it all because life has become so stressful. RVing is certainly a great way to do it! Thanks for the read. We used to have a motorhome (as RV's are called in the UK) and we loved it even though we only used it for holidays. If I didn't have such a cute home I would seriously consider buying another Hymer and living in it full time. Then I could always live in beautiful places in Britain; places where I could never afford to buy a house. Good points made in this hub, TT. Some cousins sold me on full-time RVing back in 2005. Not that I've hit the road yet, but if I had a 5th wheel decked out like theirs and the vehicle to pull it, you bet I'd be gone. That 5th wheel has ALL the comforts of home and they have hardly a care in the world except where to go next. Sounds like heaven to me! I am thinking of doing this sounds like it could be awesome. Your welcome keep writing these good informtive hubs. This is true, but if you read some of my other articles about how to camp cheaply or for free, you'll see that you can avoid the high prices. Thanks for reading. Very nice I think I could live cheaper in an Rv Although the price of campsites keep going up. I would like to try it on weekends first. Good luck! I think you're making a good decision, and I think you'll be happy you made the move. This is something I may be doing sometime very soon! :) Voted up and useful! If you do it right, it is a lot of fun. I'd be interested to read a hub about how it is in your country. I've heard camping there is somewhat different than here. Maybe you can write a hub about it?? Thanks for reading. Glad you liked the article. I have a number of RV articles on this site you might want to read, and I am writing more all the time. I have been an RVer my entire adult life...still am. Lots of people get into it, but they also make costly and upsetting mistakes that can ruin it for them. That's why I'm writing the articles. Read, print and save them for future reference, and if you have questions, don't hesitate to email me. I LOVE RVers!! Great story. You gave some wonderful information that I hadn't thought of. My husband has been suggesting this for a while, now I think he might be right. Lots of people dream of doing this, and many follow through with the dream. My advice? Don't wait too long. Do it while you are healthy so that you can really enjoy all this lifestyle has to offer. Thanks for reading! YES! This is something my husband and I have been talking about ..though we just moved to N. Cali. How interesting this topic is brought up again. Lovely! You're welcome. We've run into many singles on the road over the years and all seem to really be enjoying the lifestyle. A lot of them travel in these groups because it's safer and makes help available if needed. It also provides a nice built in social life! Thanks for mentioning RV groups for singles. I'm going to look into that. Thanks for the congrats! I know you've won before, so you know how nice it feels! Never been house-jacked or rv-jacked in all these years, so doubt it will happen now! lol. Thanks for reading. Don't let that stop you! There are RV clubs for singles. They travel in groups and have a great old time. Glad you liked the hub and thanks for reading! Excellent hub. Voted up and Interesting. I would love to live in a RV but I live alone so it might not be too much fun for me. Thanks for the kudos. Yes, many people dream of hitting the open road or are curious about it. We used to be cross country truckers and living full time in an RV worked perfectly for the type of schedules we had to keep. It's the closest to being totally free one can experience. If you have questions, ask away. I'll be happy to share...I LUV RVers!! There are lots of good things about full timing, and you can enjoy all of them if you like RVing. Thanks for the kudos. I was surprised to see myself nominated a second time in two weeks. I really didn't think people were taking notice of my work, but I'm glad they are...thanks to folks like you. I'm glad to have your support and once again, I thank you for reading my hubs. Yes, unfortunately health can get in the way of "living the life", and I just hate that. At least you can still read about it and live vicariously through the adventures of others. I'm sorry you can't enjoy the RV life anymore, but I'm sure you have many nice memories. Thanks so much for reading my hub. NEWS FLASH: Congratulations on your Hubnuggets Nomination! You are one of the Personal Finance Nominees! Hurry and see for yourself right here: https://koffeeklatchgals.hubpages.com/hubnuggets6/... Now remember to read, vote and promote! Love and blessings in behalf of the Hubnuggets Team and ME as the Hubnuggets official cheerleader! Enjoy the Hubnuggets and wishing you a year of financial abundance! Congratulations on your HubNugget nomination! I think it would be great to live in a RV and travel around the country. I hadn't thought about moving away from the neighbors, but it is another big plus. Yes, I know. Also many people who suffered through Katrina are living in RV's. Thanks for the link and for your support. I'll try to link back to some of your stuff when I write more. I'm still learning the ropes here. Lots of oil and natural gas fields workers is North Dakota have been living in RVs. I'll likely link your Hub to mine about that topic.Thanks - rated Up and many more. It IS fun! Full timing in an RV is the closest anybody can really come to feeling free. There actually ARE people who ship their RV's to different countries for travel, but it's a complicated and expensive thing to do. However, there are so many places in the US to explore that just using an RV for that purpose is enough for most. We are lucky enough to live in a big, beautiful country, and seeing it via RV is the best! Thanks for reading and come back soon. I agree. RV sales are up and I think it's because people are buying them to live in...a smarter move than they realize. As I said in the article, it's not for everybody. Nothing wrong with "sometimes" either. Rving is great no matter how you do it. Thanks for reading my article and following me! My family was discussing this very question just this afternoon. Our conclusion was that sometimes could be enough for us. Well said...voted up and interesting. Nearly everyone I tell about the lifestyle say they have often thought of doing the same...with the economy as it is, now is the perfect time! 7 years ago from Potter County, Pa. Always dreamed of doing this. Good hub.